Fall is a unique time of year to go on vacation. The intense heat of summer has given way to the clean, crisp air of fall. Instead of the lazy days of summer, you enjoy feeling a bit more energetic. This is the perfect time of year to visit Central New York and explore everything the Finger Lakes region has to offer. 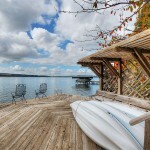 While you are making vacation plans be sure to check out the current listings for Finger Lakes vacation rentals. Hotel rooms simply do not compare to the wonderful experience of enjoying local Fingerlakes lodgings that are more like a home environment. Visiting in the fall allows you to fully appreciate the wonder of nature as you observe the many splendid shades of yellow, orange, red and brown displayed within the treetops. Mere photos and postcards do not do this scenery justice. The changing of the leaves is something that must be witnessed in person. And, the Finger Lakes region certainly puts on a magnificent natural show in the fall season. Colorful leaves aren’t the only things to enjoy in the area during the fall. There are lots of entertaining events happening during this time of year that provide a chance for visitors to experience local culture at its very best. The Johnson Museum of Art in Ithaca, NY is celebrating its 40th anniversary with a splash. The museum is located on the historic Cornell University campus and first opened its doors in 1973. Over the years the Johnson Museum has earned a reputation for exhibiting a wide variety of modern and classical artwork that offers visitors a chance to experience art in all forms. A special reception is being held to introduce the new fall exhibitions. The celebration includes special live performances and a late night 70s theme dance party. Groovy! Americana Vineyards in Interlaken, NY continues their wine and music concert series throughout the month of September. Enjoy local wine and food at the winery while listening to the sounds of area bands. The atmosphere is relaxed and casual. Take a trip down musical memory lane during this knockout show that celebrates the music of three legendary female singer/songwriters. The Hangar Theatre in Ithaca, NY is where you’ll enjoy this amazing musical tribute featuring the songs of Carole King, Joni Mitchell and Laura Nyro. Featured vocalists are the very talented Melissa Hammans and Shaleah Adkisson. This show is for two nights only. The Keuka Lake Wine Trail is holding its annual fall food and wine celebration featuring world-class wines from the region. Since it is also harvest season there is an abundance of local delicious food inspired by the fresh bounty of apples, corn, grapes and squash. This fun hoedown event offers visitors a chance to sample another authentic slice of life in the region. Come to the Montezuma Winery in Seneca Falls, NY for lots of good BBQ chicken and pork along with seasonal local treats. Enjoy real country fiddling while filling up on delicious wine and food. Relax and enjoy the beautiful fall scenery as you take this marvelous tour to the Standing Stone Vineyards in Watkins Glen, NY. This is a guided VIP wine tour that departs from Ithaca, NY. Tour guests have the opportunity to taste young and vintage wines and enjoy delicious food. The September tour features Pinot Noir. The Fingerlakes Luxury Rentals staff can help you plan your Finger Lakes luxury vacation with a stay at one of our Skaneateles vacation rentals conveniently located around the Finger Lakes region. October is a fantastic time to be in the Finger Lakes region. Fall has arrived in full force and there is a crisp, freshness to the air that is invigorating. The scenic beauty is so abundant in this area that many people enjoy taking a drive just to enjoy the natural sites. This is an ideal time of year to take advantage of Skaneateles luxury rentals just so you can observe the splendor of seeing the bright orange, red and yellow colors on local trees. Seeing the eruption of fall colors and celebrating the season is something that is always done best in person. The Finger Lakes area in October is a time of year to discover local culture, food and wine in a refreshingly down to earth way. Central New York State has a thriving agriculture and fall is the time of year to celebrate the apple harvest. Several local communities hold apple themed festivals featuring the best of the crop. October is also time for fall festivals that feature food, music and loads of fun. This being wine country, there is always a wine tasting event that allows visitors to sample excellent vintages. For a completely unique experience, go on a tour of local art studies to get a glimpse of how artists create their amazing work. This is a rare opportunity to meet an artist up close and personal and see how a piece of artwork comes to life. Another form of art that thrives in this region is the theatre. During your stay, check out the local theatre productions to see excellent Broadway shows and more. The beautiful village of Skaneateles holds its annual fall festival. Some of the highlights are riding in an authentic horse drawn carriage, and making a scarecrow in Clift Park. The entire village is decorated for this special event. Reserve your Finger Lakes vacation rental and then Stroll the local galleries and shops and enjoy food and wine near scenic Skaneateles Lake. The celebrated Hangar Theatre in Ithaca, NY is holding a special fundraising event that is loads of fun for both audience and performers. Local personalities compete head-on with Broadway performers in a hilarious charades competition. Each team must get the correct answer to improvised clues acted out by a team member. This is lighthearted entertainment at its best. A Skaneateles vacation rental is just a short stay away from this fun Finger Lakes attraction. Each year, Ithaca, NY celebrates a bountiful harvest of fresh, delicious apples with this wonderful seasonal event. Over 100 local vendors offer fresh-picked apples, apple baked goods, apple cider and a wide variety of tasty treats. There is live entertainment, handmade arts and crafts, games, rides and more. Newark Valley has an old-fashioned apple festival that features farm fresh apples, all sorts of apple treats, delicious food, horse and wagon rides, handmade crafts and more. A special treat is watching demonstrations of authentic blacksmithing, cider pressing, hearth cooking, candle and soap making and spinning and weaving the way it was 200 years ago. Kilpatrick’s Publick House, a popular pub and restaurant in downtown Ithaca, NY, plays host the this very special Oktoberfest event. Enjoy tasting a variety of amazing locally brewed beers, great wines and delicious food while listening to live musical entertainment. Attendees must be at least 21 to purchase tickets for beer and wine. Don’t forget about the Syracuse Orangemen football team, this year they have switched to the ACC conference so new and seasoned fans alike now have a chance to see them play in their new conference. Several of our Skaneateles rentals are located within easy driving distance of Syracuse, so what better way to spend a weekend “tailgating” and then coming home to one of our Finger Lakes luxury rentals.